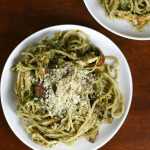 This recipe makes me giddy. Caprese salad is one of my favorite dishes ever. 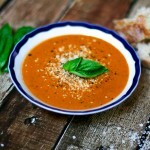 But you can pretty much ONLY make this in the middle of summer, when tomatoes are in their prime. 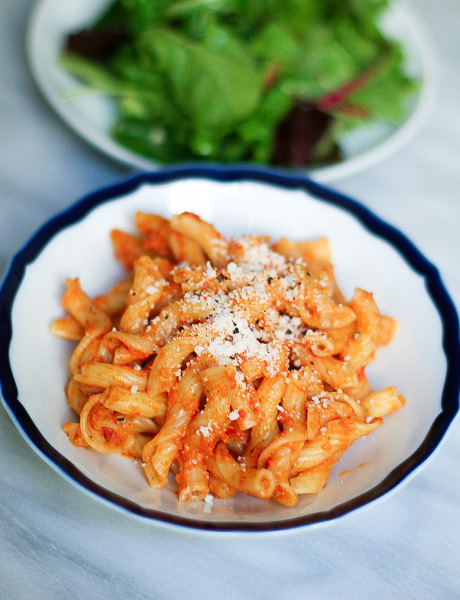 Try to make this with mealy flavorless supermarket tomatoes, and you will weep salty tears over your bowl. Do yourself a favor, and head to the nearest farmer’s market pronto. Pick up 5 or 6 beautiful beefsteak or heirloom tomatoes, and squeal with delight. Because they are going to take this meal to a whole ‘nother level. Caprese salad, with fresh tomatoes, basil, and mozzarella, drizzled with olive oil & balsamic & sprinkled with flaky sea salt & pepper, is one of my favorite dishes ever ever EVER. Personally, I could straight up eat a giant platter of caprese for my dinner. But alas, it’s not enough food to count as “dinner” for my man. This pasta salad is my answer to this dilemma. 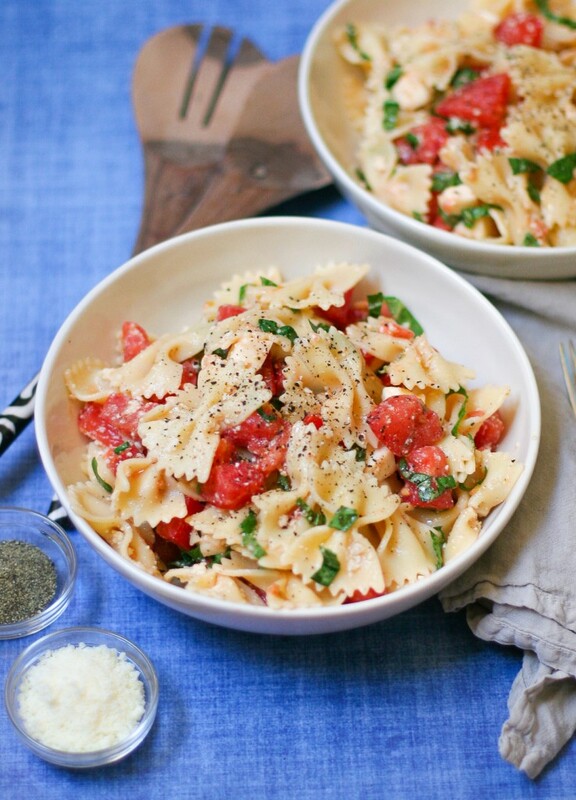 It’s BASICALLY just a giant caprese salad tossed with some pasta to make it more filling. Even better? It’s so easy to make. The only thing you have to cook is the pasta! 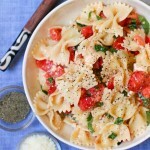 Then just toss with some basil, tomato, mozzarella, olive oil, and seasonings. Finish with a drizzle of balsamic, and smile as you spoon each bite into your mouth. Bring a large pot of salted water to a boil. Add the pasta and cook according to package directions, until well done. Drain well and place in an extra large serving bowl. Drizzle with the olive oil, and season with the salt and pepper, and toss again. 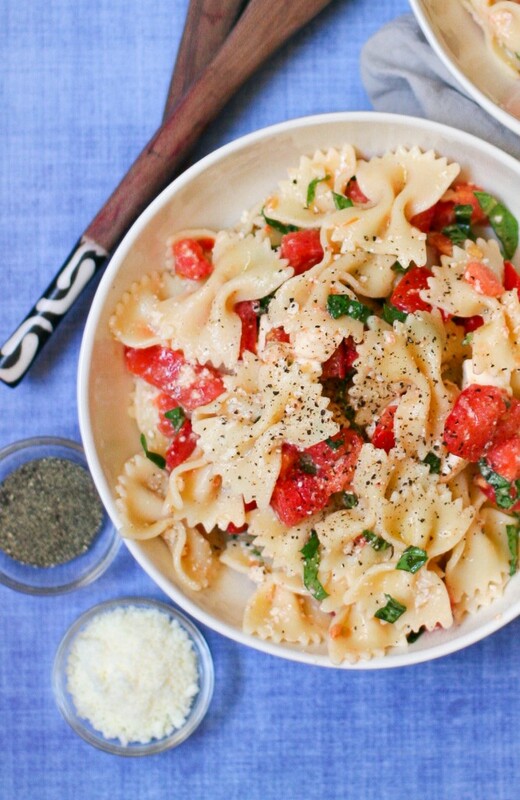 Add the tomatoes, mozzarella, basil, and Parmesan cheese to the bowl with the pasta. Toss to evenly distribute. 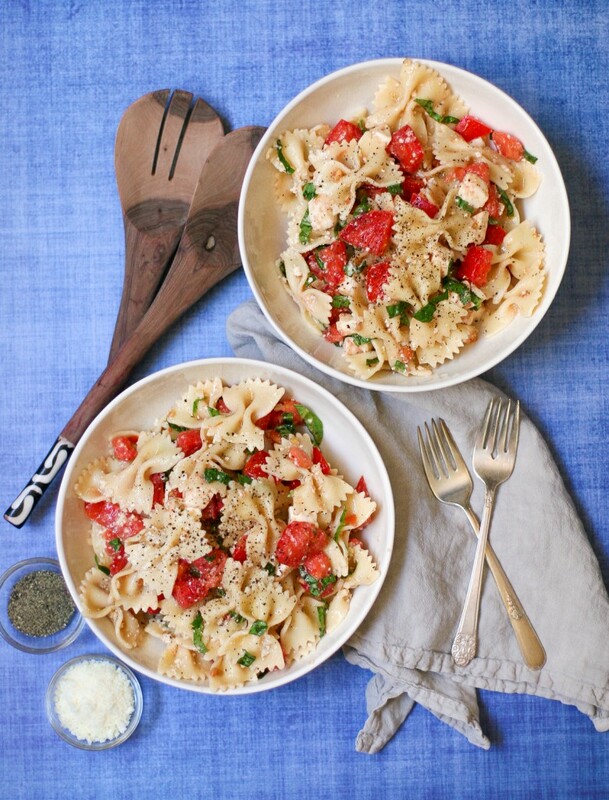 Spoon the pasta into serving bowls, drizzle each portion with balsamic vinegar, and enjoy. Season with extra salt and pepper, if desired.